It won’t take much for this week to prove better than last. The aggravation of seeing our basement turn into a giant toilet bowl (thanks to Chicago’s sewer system in a flood) paled in comparison to what our nation experienced. 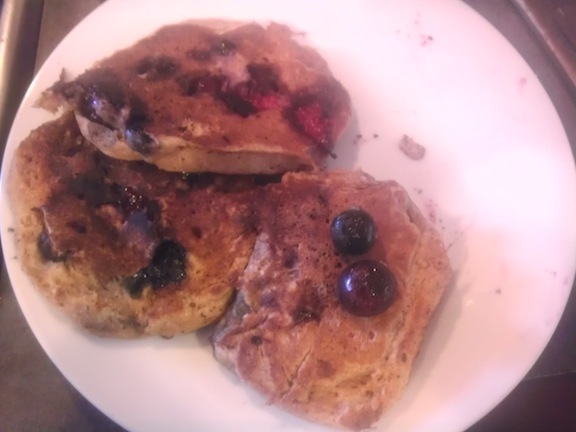 But just to be sure we start this week off on the right foot, we feasted on berry cream pancakes. Even amidst cleaning trips up and down our basement steps, life’s looking better already. Combine egg, sour cream, milk and maple syrup in a bowl. 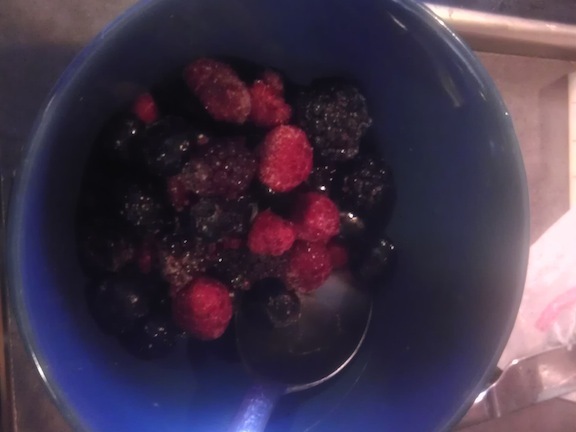 In a separate bowl, combine the rest of the ingredients, except for the berries. Fold the dry ingredients into the wet ingredients and stir until combined. If you’re using frozen berries, thaw them out in the microwave. Melt butter over a frying pan on medium high heat. 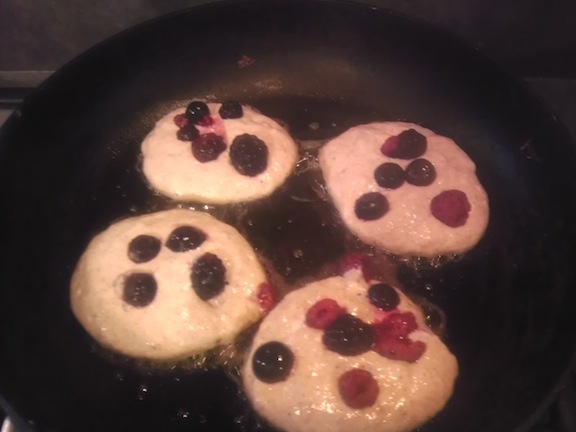 Add spoonfuls of pancakes to the pan and scoop a spoonful of berries to each pancake. Let pancakes brown for a minute and flip. Brown the other side another minute more. If they turn black before the middle is cooked, turn your heat down.